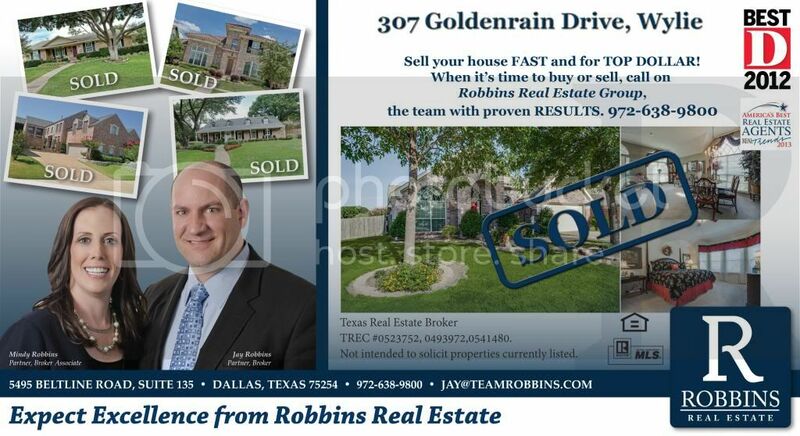 Robbins Real Estate sold 307 Goldenrain Drive! 307 Goldenrain Drive, Wylie – SOLD! Call Robbins Real Estate Group at (972) 638-9800 today for all your home buying/selling needs! Congratulations to the new owner of 307 Goldenrain Drive! Did you know that you can get a free valuation for your home in just a few steps? Simply go to -> Robbins Real Estate Free Home Valuation and get an up-to-date market report for your local area!